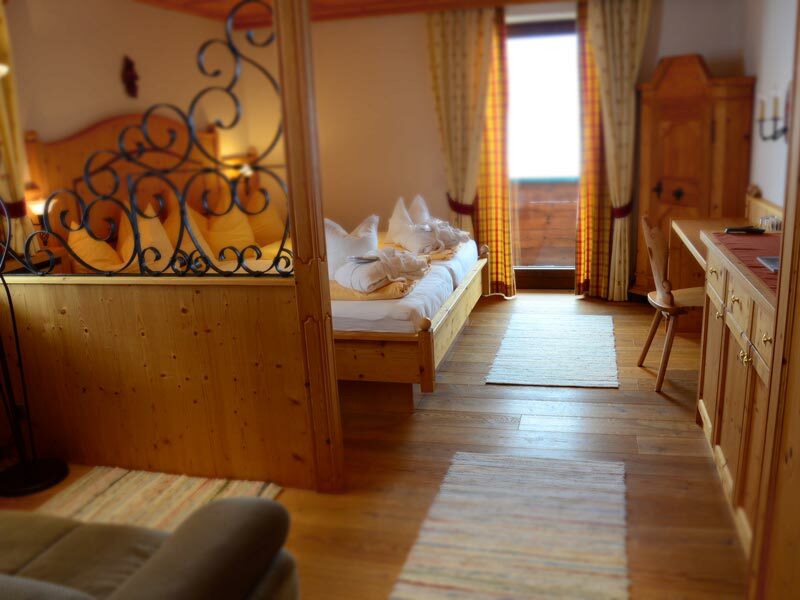 28 m² of comfortable living space awaits you in our "Rüfikopf" double rooms with balcony – looking out towards the valley and Lech. 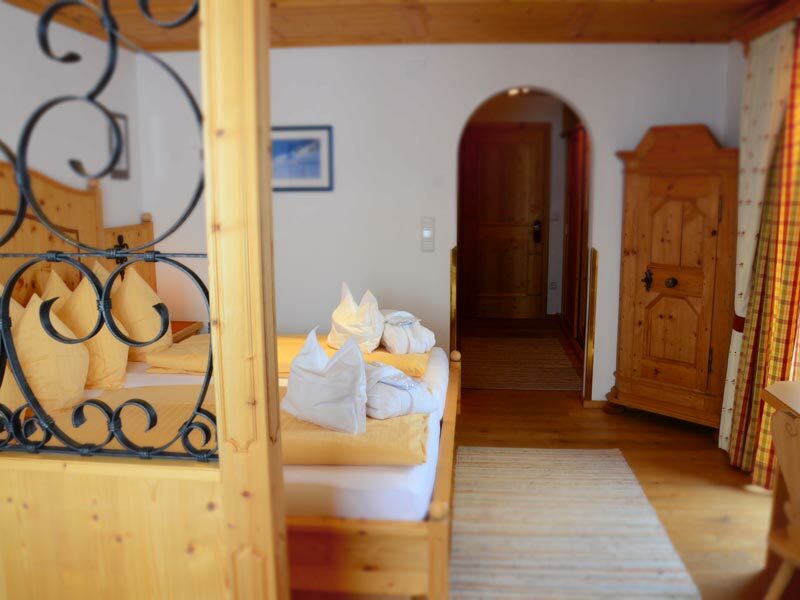 Our "Rüfikopf" double rooms are designed in the typical style of country homes in this region, while the decor itself surprises with spacious storage for all of your holiday wardrobe. 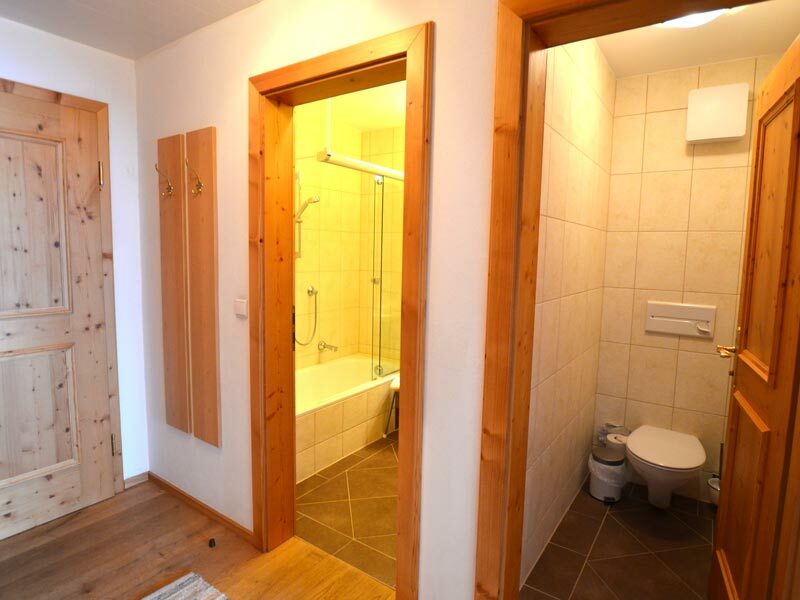 The bathroom, with bathtub/shower, is separate from the WC. 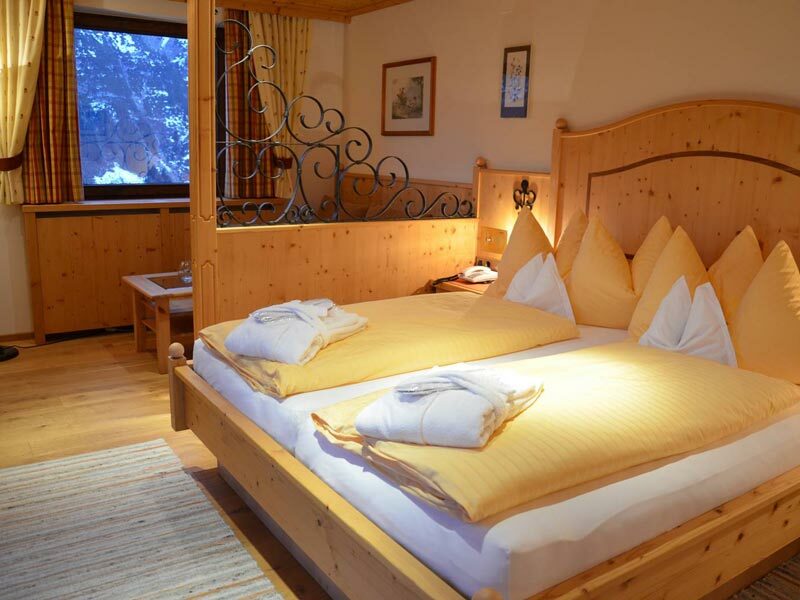 Immerse yourself in the mountain world which surrounds Lech, enjoying the marvelous views from the balcony! Thanks to gel or cold-foam mattresses, as well as hypoallergenic bedclothes, pillow stuffing and duvets, all of our rooms are appropriate for guests who suffer from allergies! 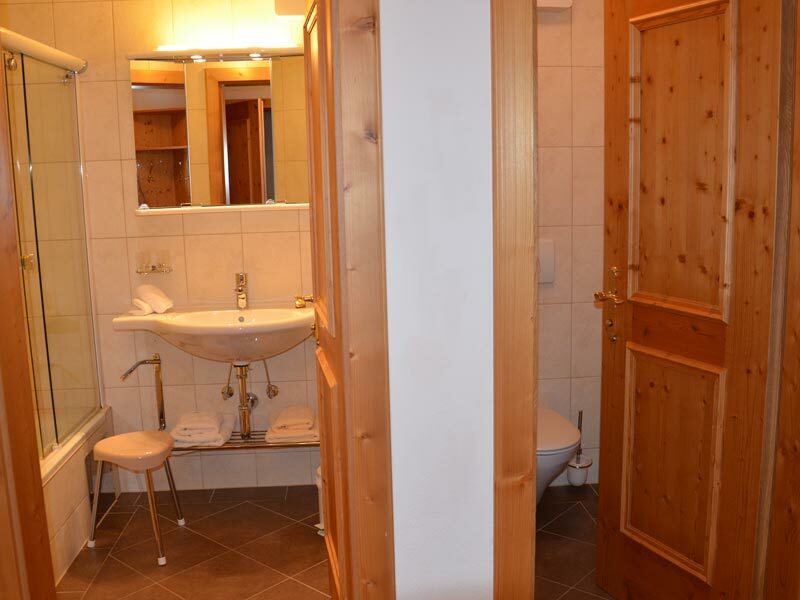 Extra bed in double room for 3 people, with two full paying adults: from EUR 101,00 per day with half baord. 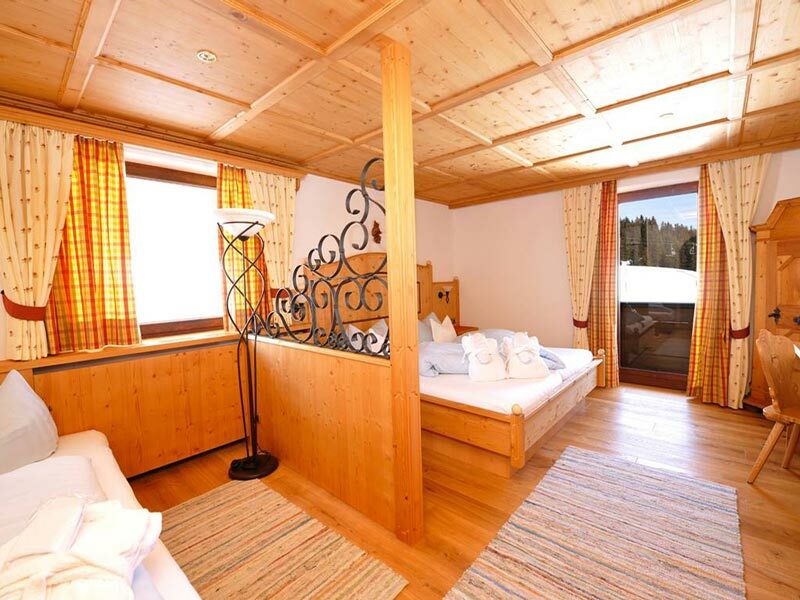 Extra bed in double room for 3 people, with two full paying adults: from EUR 89,00 per day with half baord. 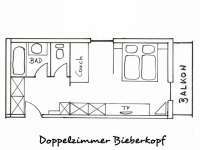 Extra bed in double room for 3 people, with two full paying adults: from EUR 110,00 per day with half baord. 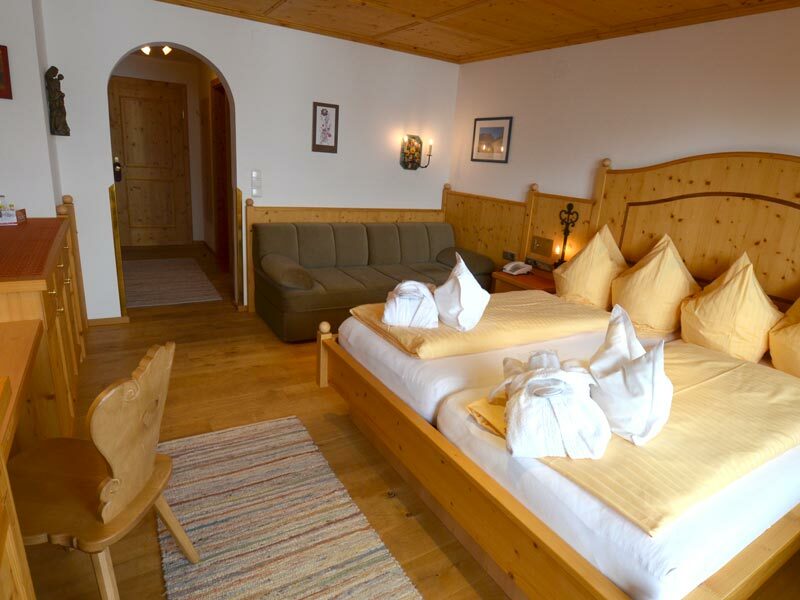 Extra bed in double room for 3 people, with two full paying adults: from EUR 116,00 per day with half baord. 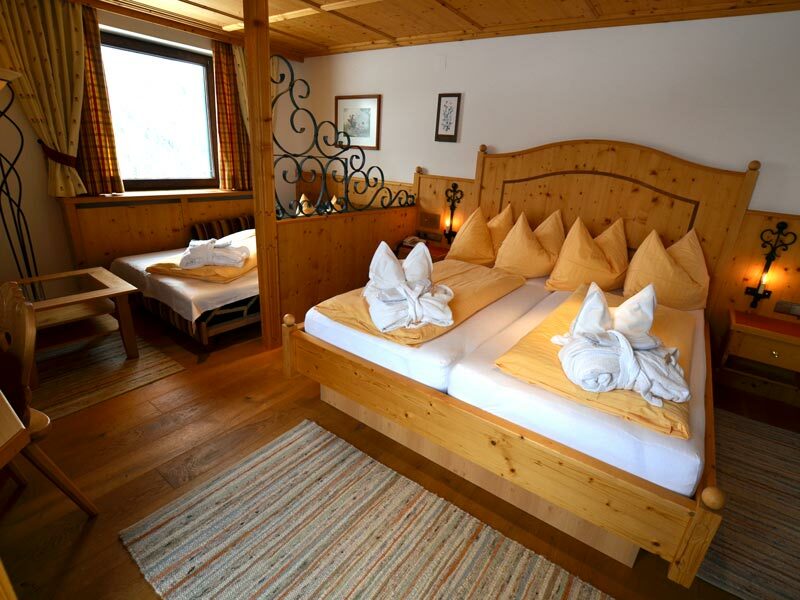 Our "Biberkopf" rooms are designed in the typical style of country homes in this region. 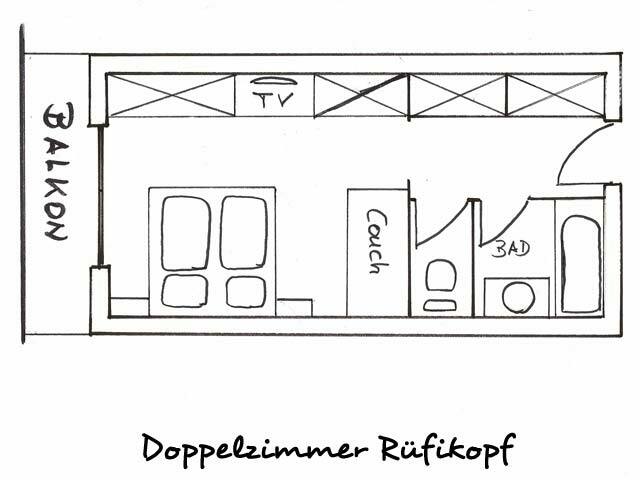 All of our "Biberkopf" rooms have a private balcony, with some facing south and the others facing north. 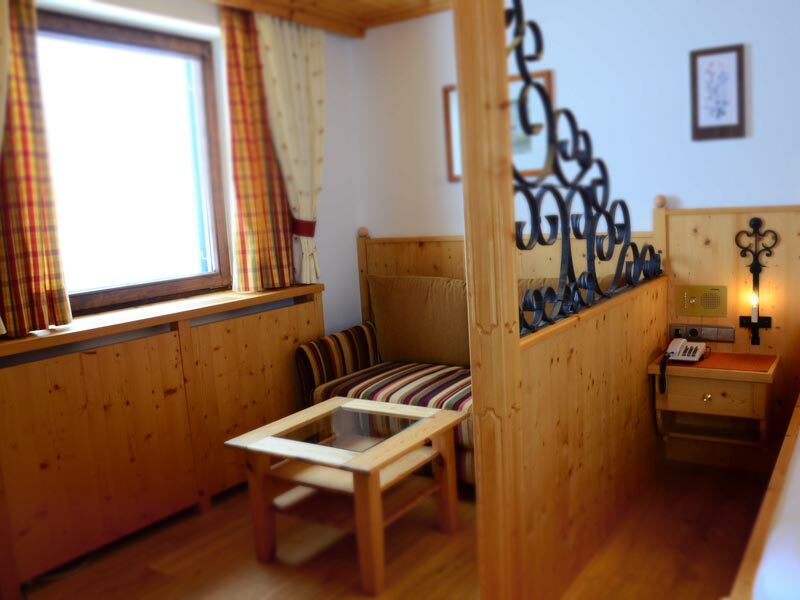 The glorious views from our “Biberkopf” junior suites of Arlberg’s mountain world promise a wonderful beginning to every single day! 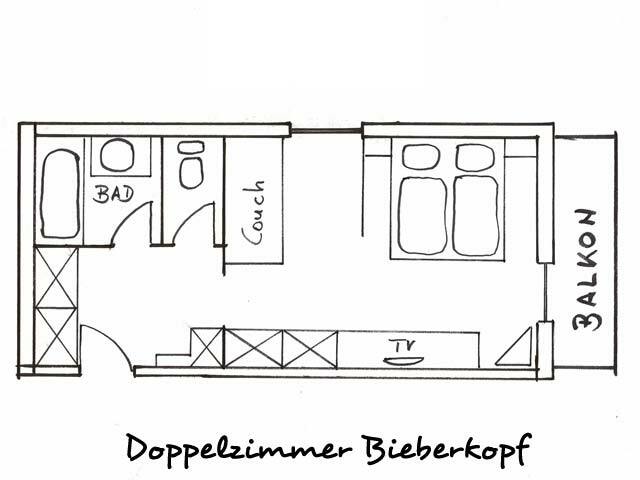 The "Biberkopf" is suitable for 2 to 3 people, featuring cleverly conceived interior design with ample storage space. 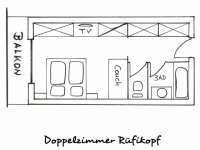 The corner seating is somewhat separated from the sleeping area. Thanks to gel or cold-foam mattresses, as well as hypoallergenic bedclothes, pillow stuffing and duvets, all of our rooms are appropriate for guests who suffer from allergies!